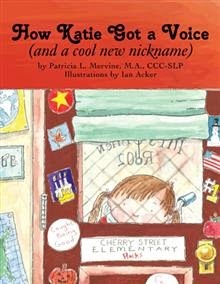 A few weeks ago, I purchased Pat Mervine's book "How Katie Got a Voice (and a cool new nickname)." I love the story and the illustrations are wonderful. I took it to work and haven't seen it since. An SLP in my office took it home to help her children understand her job. A teacher has it now to read to her "Katie" and one of the schools in my area is considering using it for a book club next year. 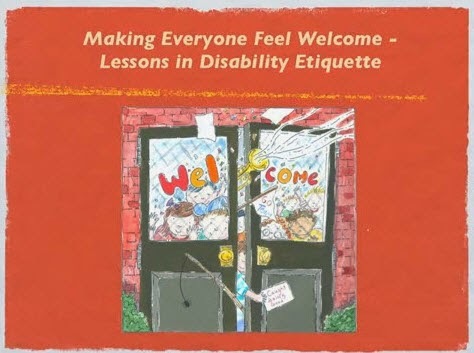 This would be a great story to read when talking about disabilities or use during BSHM. Pair this with Making Everyone Feel Welcome - Lessons in Disability Etiquette, a You Tube Video featuring Katie. 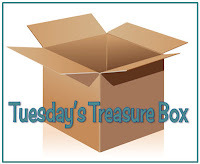 A PowerPoint, of the same title, can be purchased at Pat's TpT store for $4.00. Also at Pat's TpT store, download the FREE Reader's Theater version of "How Katie Got a Voice (and a cool new nickname)." You can purchase the book at Pat's website, Speaking of Speech.This is not one of my typical budget priced materials. The book is $18 (no shipping charges), but well worth every penny!